This brochure was the central piece in a direct mail renewal campaign for Thomas Food Industry Register, an annual three-volume print directory of food industry resources. 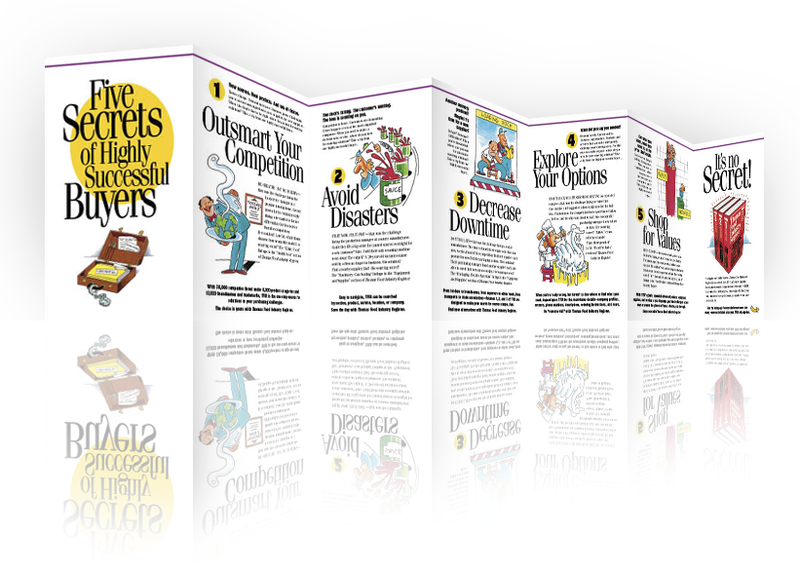 Each of the five “secrets” establishes an all-too-common business challenge faced by restaurateurs and foodservice operators, and locates the solution to each within the pages of Thomas Food Industry Register. © 2019 Vine Street Design All Rights Reserved.